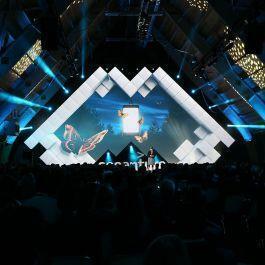 At the Global Conference on Cyber Space 2015, it was announced by Dutch Minister of Foreign Affairs that the Global Forum on Cyber Expertise (GFCE) will be stationed in The Hague. This is yet another example of The Hague’s position as cyber security capital of Europe. The GFCE is a global platform that will contribute to cyber capacity building. 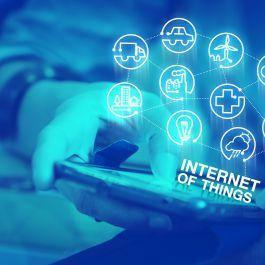 It will stimulate new funding streams and the sharing of expertise and experiences in the field of cyber security, cyber crime, data regulation, and e-development. By matching supply and demand, countries that lack knowledge in certain cyber areas will be able to benefit from the knowledge and expertise that will be provided by countries and companies with more experience in cyber matters. Membership of the GFCE is open to all countries, intergovernmental organisations and private companies who subscribe to the Hague Declaration on the GFCE. Civil society, the technical community, think tanks and academia will also be encouraged to be involved in the GFCE, contributing to the development of best practices, sharing of knowledge and advising on capacity building efforts. 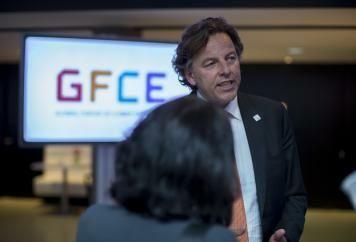 Minister Bert Koenders of the Dutch Minister of Foreign Affairs emphasized the importance of a multi-stakeholder approach in the GFCE initiative: ‘States can’t act on their own. They will have to rely on other stakeholders. It is vital to include different stakeholders in a debate that could prove to be the next key dilemma in international security. 'The Netherlands has a lot to offer', says minister Van der Steur of Security and Justice, 'In the field of Cybersecurity and cybercrime we have good practices, tools and methods to share. Still we need to learn and improve. In the GFCE we will share our experiences and learn from participating nations and non-state actors. All will benefit from getting the knowledge and best-practices together in one platform. Cyberspace will get better with this initiative, paving the way for further international cooperation'.